Not sure what to give your loved one for an upcoming special occasion? 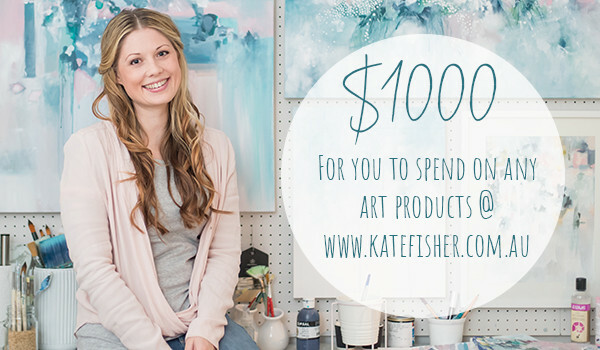 For any lovers of art – a gift voucher is the perfect solution. We have both e-gift cards and shipped giftcards available below. Need your gift today? No problem! 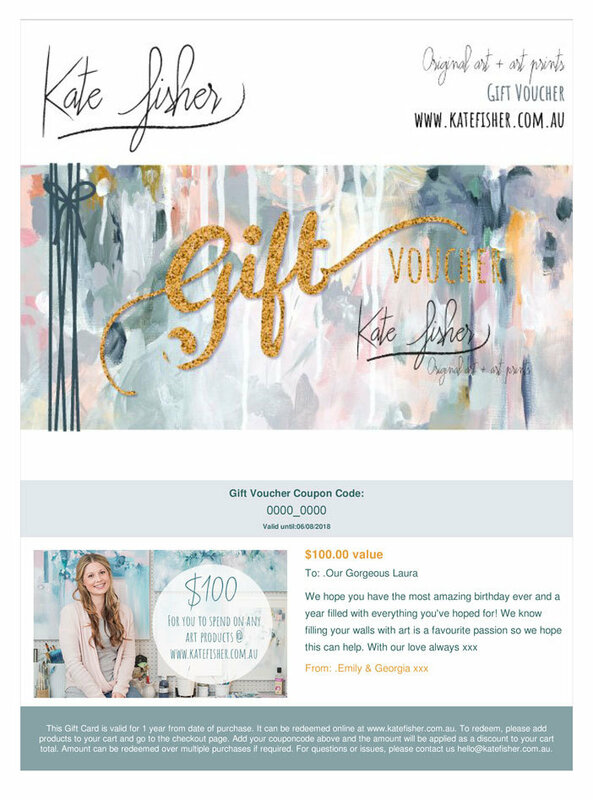 Below you can choose to have your giftcard emailed straight to your inbox after purchase in pdf format – so you can print it on A4 paper at home, or send it straight to your recipient in an email. After you have paid for your giftcard, you will immediately receive a separate email with your pdf printable gift voucher. When printing, please ensure you select the ‘fit to page’ option. For this giftcard option, please select the FIRST checkbox under ‘Delivery Method’ below. Alternatively, you can choose for us to ship a physical giftcard to your address of choice (either yours or your recipients) within Australia. Please allow 7 days for the giftcard to arrive as Australia Post is not always as fast as we would love them to be! For this giftcard option, please select the SECOND checkbox under ‘Delivery Method’ below. If you have any questions about your giftcard or do not receive it immediately after purchasing (and paying) please contact us at: [email protected] and we’ll be happy to help. After filling in the details below, you can click on the PREVIEW link (directly above ADD TO CART button) to view an example of what your printed gift certificate will look like. Please note: giftcards are valid for 1 year after purchase. This gift card will expire after 365 days after purchase. 2﻿﻿. Be the FIRST to know when I am releasing new work, and..
3. Get loads of inspiration on framing and hanging art in YOUR home..